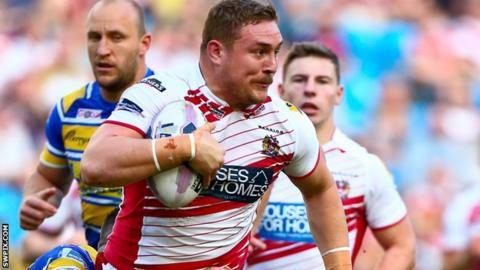 Super League side Widnes Vikings have signed Wigan Warriors prop Gil Dudson on a two-year deal. The 24-year-old Wales international joined Wigan in 2012 from Welsh side Crusaders and won the 2013 Challenge Cup and Super League Grand Final. However, he was restricted to just 15 appearances last season. "We've been talking about Gil for a number of months and he's a player we have had to be a little bit patient with," said head coach Denis Betts. "He is big, he's strong, he's got international pedigree, and I think he is young enough to really make a massive mark in the game over the next few years. "As a club we are ambitious and we think Gil is the right fit to move forward with us as a team."